Hopefully you guys enjoyed the lists Daniel and I created. Let us now what you guys think about the format, and content and maybe we can handle our lists this way going forward. As some of you may know, my wife had a surgery and we were in the hospital for a few days. Well, we are home now and she is quickly on her way to recover! Thank you for all the kinds words and thoughts. That being said, I was MIA for a bit, but I promise to get back to all your comments shortly. Anyways, this week I was able to finally sit back and enjoy a smoke. 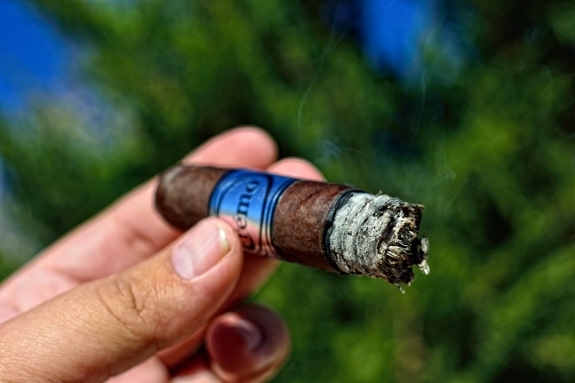 I reached for one I have been trying to review for a while now, the Cremo Classic Maduro. 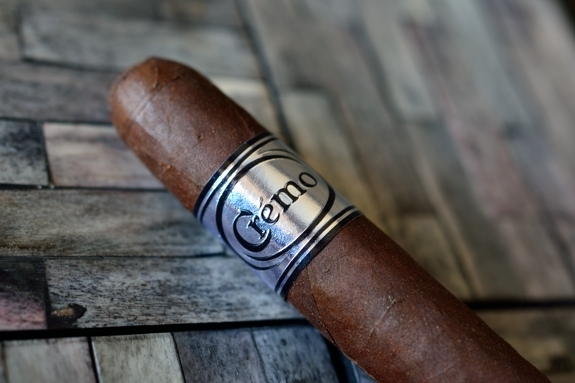 The Good Stuff: The Cremo Classic Maduro is the second release from the good guys over at Cremo. Created at the El Titan de Bronze factory in Miami, this American made cigar contains Nicaraguan binder and filler wrapped in a beautifully dark Mexican San Andreas wrapper. I was a big fan of the Cremo Classic line (read the review here), so I couldn’t wait to see what the Maduro version had to offer. 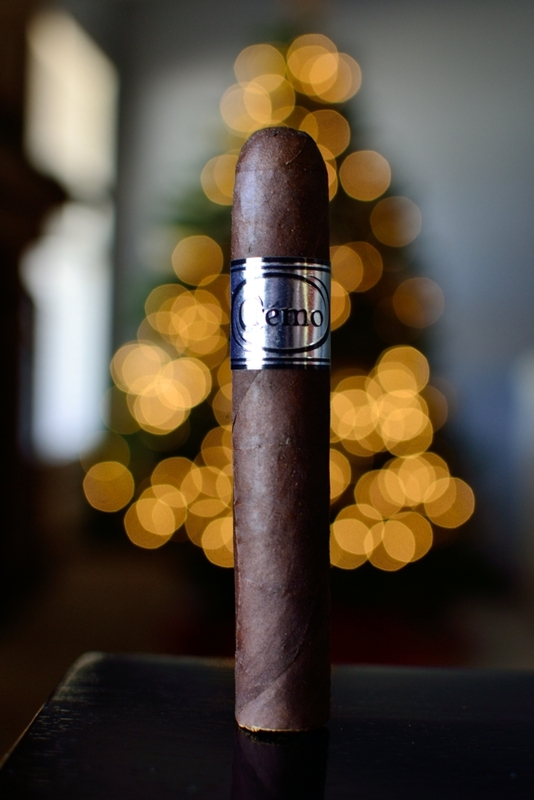 The Cremo line is still in it’s boutique phases, but years back it was a popular cigar created in New York. In recent times a New York born man by the name of Walter Lilo Santiago decided to revive the brand. The Classic Maduro will come in 2 sizes, the Intrepidus (6 x 52) and the Excelsior (5 x 50). The cigar will run $10 – $12 a stick, and will come in boxes of 20. 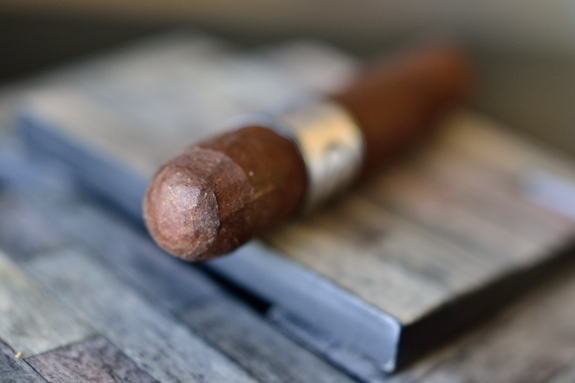 Prelight: The Cremo Classic Maduro is a very pretty little cigar. Starting with the crazy dark, consistent brown wrapper. This cigar look, and even smells like a candy bar. The construction is perfect as the wrapper is laid seamlessly over itself and the round triple cap. The body carries only a few larger veins, but nothing too concerning. The wrapper has a very toothy texture with a pretty good amount of oil. The wrapper feels a bit delicate as I squeeze the firm cigar. While the cigar remains firm you can tell it’s not packed too tightly. Polishing off the cigar is the classic Cremo band only this time they replaced the yellow with a mirror chrome finish. The wrapper on the Cremo Classic Maduro seriously smells like straight up hot chocolate with some spicy notes. 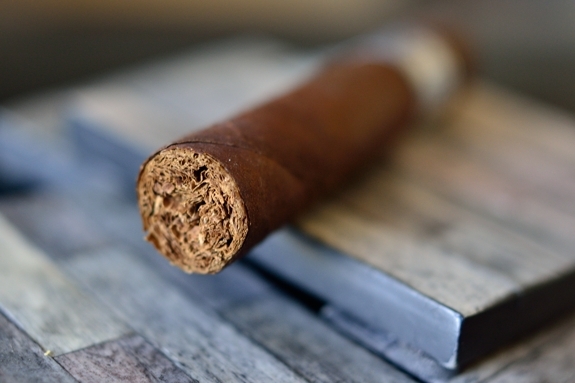 The foot of the cigar gives only nothing more than just a small trace of lightly scented tobacco. The cap cut very clean and easy from the Cremo Maduro. The cold draw produces a very strong, bittersweet chocolate flavor with some soft spice and tobacco notes hidden underneath. First Smoke: The Cremo Classic Maduro started out just as I expected. Lots and lots of biter-sweet chocolate, lots of spice, some slight black pepper, and soft tobacco. The draw on this bad boy is magnificent. Each little puff fills my mouth with this crazy-thick, light brown smoke. The crazy thing is, with all the smoke this cigar kicks out every day, there is no stationary smoke at all. The burnline on this cigar started out pretty wavy, but nothing that caused me to break out the lighter. The ash is very tightly compacted and bright grey with darker spots. It held on for an inch before falling into my ashtray. 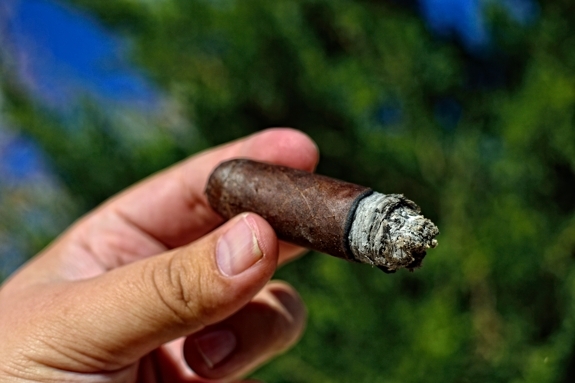 Halfway There: The flavors in the Cremo Classic Maduro really began fading out in the second third. The chocolate has become more of a cocoa, blending in with the spice as more of the tobacco flavor crept in. It’s very smooth, and very creamy, I just wish the flavor kept up as well as it did in the first half. On a good note, the burnline has complete corrected itself with no help from my lighter. The cigar is now burning dead even leaving me with no nicotine kick at all yet. Finish: There we go! 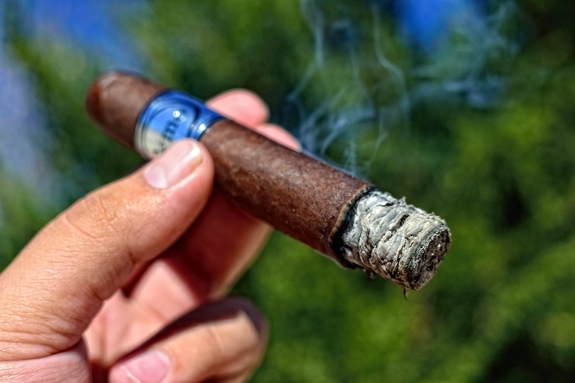 The final third of the Cremo Classic Maduro is where this cigar really starts to shine. Some soft cedar got thrown in the mix as the spice ramped the hell up and the chocolate and tobacco kept trucking along. The crazy part about it was how smoothly all the flavors blended with each other resulting in a very tasty experience. The burnline has continued to burn perfectly with no touch ups or relights. There was a slight bit of harshness towards the very last inch, but nothing really concerning. This cigar took a little over an hour to take down and I felt absolutely no nicotine the entire time. Overview: El Titan de Bronze rocks. I love them. And I am incredibly delighted that they are finally making Maduro wrapped cigars. The Cremo Classic Maduro was a solid stick. Great construction as always, some nice flavors, and perfect burn. That’s all you can really ask for a cigar. It wasn’t overly complex, but not one dimensional. I still don’t think it did what the Cremo Classic did for me though. That cigar was just dynamite. 9 times out of 10 I will reach for the Maduro version of a blend too. I smoked another Classic recently and can still confirm that I like that better than the Maduro. I think it just had a little more “umph” while the Maduro was more smooth and creamy. The price point is another issue. $10-$12 a stick puts it in a high-caliber price range. The construction and burn experience was on spot with that range. I personally, don’t see these as a box purchase for me, but I’d still pick up a few to have on hand. Either way, both blends are great and I suggest giving them both a run! 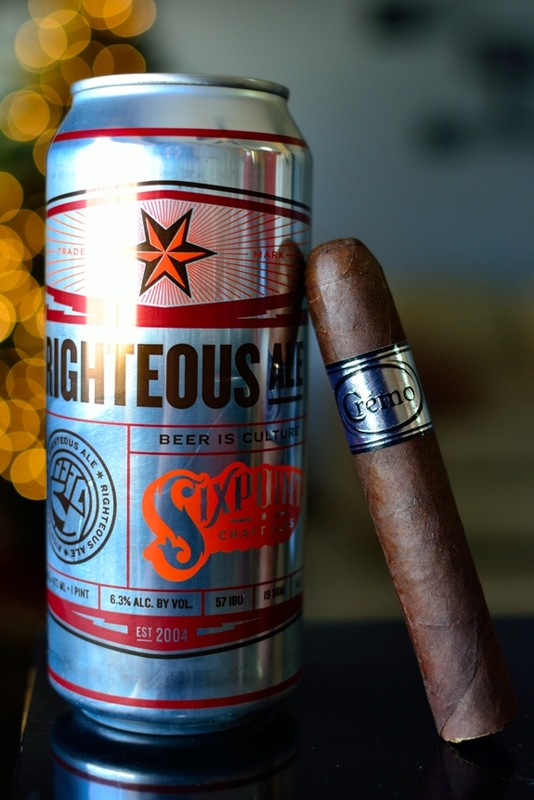 Pairing: I’ve been all over Sixpoint’s brews as of late. The marketing, packaging, social media attention, and the fact that they are finally available here in El Paso forced me to finally try out a few of their brews and I am so glad I did. This brew in particular, the Righteous Ale is very interesting. First of all, it’s brewed in New York, which is the same location in which the Cremo brand was developed. It’s called a “Rye Beer”. Basically it’s brewed with Rye grain, a grain that can survive the most acidic soils and harshest winters. What the Rye grain does is add this very unique, sweet, zesty, character to the malty, caramel goodness. This is seriously an amazing beer. The best part about it is I could see myself drinking this any time of the year. The darkness and malty character make it perfect for the winter while keeping light-weight and refreshing to satisfy those summer thirsts. That being said, how do you turn it into the perfect winter brew? Add chocolate. And that’s exactly what I did by pairing it with the Cremo Classic Maduro. I knew this pairing would be love at first taste and it was. 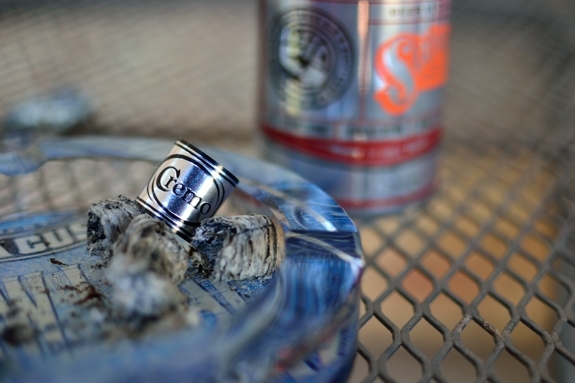 Not to mention, the band matches the can pretty neatly. Great review, Tony. I’ve been anxious to see how this one shook out ever since I heard it was in development, and it sounds like something I’d really enjoy. I do love the Classic, although I still can’t get it here. I’m glad to hear your wife’s recovery is going well!